Regional studies (краєзнавство; kraieznavstvo). The study of a given part of a country, such as a province, county, or town, from many standpoints—geographic, historical, ethnographic, economic, botanical, zoological, agricultural, and so on. In the USSR regional studies were conducted by regional studies museums, societies, and clubs which relied heavily on local support and were associated closely with educational programs in the local schools. Overall, this practice continues in Ukraine today. Before the Revolution of 1917 various central and local government and zemstvo institutions, scholarly societies, and individuals collected and published regional lore and information. In the 1850s the Commission for the Description of the Gubernias of the Kyiv School District at Kyiv University developed a wide program of regional studies. The short-lived Southwestern Branch of the Imperial Russian Geographic Society made major contributions to regional studies. The Society of Naturalists in Moscow sent research expeditions to Ukraine to study its flora and fauna. The Polish Society of Regional Studies in Warsaw, which published the periodical Ziemia, included Right-Bank Ukraine and Western Ukraine in its range of interest. A number of historical societies were active in regional studies: the Kyiv Archeographic Commission, the archival commissions of Tavriia gubernia (see Tavriia Learned Archival Commission), Chernihiv gubernia, Poltava gubernia (see Poltava Gubernia Learned Archival Commission), Katerynoslav gubernia, Kyiv gubernia, and Kherson gubernia, the Odesa Society of History and Antiquities, the Nizhyn Historical-Philological Society, and the Kharkiv Historical-Philological Society. Naturalists' societies at universities collected and studied the flora and fauna in their regions, and statistics departments of gubernial zemstvos collected economic data on their gubernias. The Shevchenko Scientific Society in Lviv encouraged regional studies in Galicia. In the 1920s regional studies in Soviet Ukraine developed rapidly. The Regional Studies Commission of the All-Ukrainian Academy of Sciences (est 1922) had a student section and subcommissions in Kharkiv and Odesa. The Cabinet for the Study of Podilia (est 1924) in Vinnytsia collaborated with the commission. Regional studies were conducted also by the Agricultural Scientific Committee of Ukraine; the Ukrainian Committee of Regional Studies in Kharkiv, which published 28 issues of the monthly Kraieznavstvo (1927–30); and the Central Statistical Administration of the Council of Ministers of the Ukrainian SSR and its branches. Much work was done on the local level by scientific and learned societies, museums, and clubs, some of which published their own regional periodicals. The Kyiv Society of Naturalists published studies of regional flora and fauna in journals and collections. In 1920 the Odesa Regional Studies Commission began to publish Visnyk kraieznavstva. The Cabinet for the Study of Podilia issued 23 works in regional studies of the Podilia region, and the Kamianets-Podilskyi District Committee for Regional Studies published two volumes of the collection Kamianechchyna (The Kamianets Region). Vsia Odeshchyna (All the Odesa Region) and collections of materials about the Vinnytsia, Uman, and Mykolaiv regions came out. Several committees of the All-Ukrainian Academy of Sciences, such as the commissions on Kyiv, Right-Bank Ukraine, Southern Ukraine, Left-Bank Ukraine, and Western Ukraine, and the Historical Geography Commission, were involved in regional studies. During this period there were almost a hundred regional studies organizations in Soviet Ukraine. In the 1930s regional studies institutions were dissolved, and the discipline was suppressed. The Regional Studies Commission was abolished in the reorganization of the Academy of Sciences of the Ukrainian SSR. Leading scholars and museum workers were repressed. In 1937 the authorities declared that central and local regional studies institutes were superfluous. When local societies and clubs were disbanded, only museums carried on some regional research, but because of staff shortages (under 200 museum workers) the results were insignificant. After the Second World War regional studies in Ukraine were revived and were subordinated to the needs of economic planning and political propaganda. Surveys of local resources and studies of their efficient exploitation were stressed, and local heroes of the Revolution of 1917 and the Second World War were glorified. Over 50 special regional studies museums were active in the field. They include large oblast museums, such as the Vinnytsia Regional Studies Museum, Zhytomyr Regional Studies Museum, Transcarpathian Regional Studies Museum, and the Crimea, Donetsk, and Chernivtsi museums, and many raion, school, and collective-farm museums. Regional studies publications began to appear in significant pressruns only at the end of the 1950s. They included books on specific oblasts, tourist guidebooks, maps, and the journal Kraieznavstvo v shkoli. Local regional studies clubs were set up in libraries, museums, organizations, and schools, but for many years there was no central Ukrainian institution or journal devoted to regional studies. A republican center for regional studies was established within the Institute of History of the Academy of Sciences of the Ukrainian SSR only in the mid-1970s. The institute prepared the 26-volume Istoriia mist i sil Ukraïns’koï RSR (History of Cities and Villages of the Ukrainian SSR, 1967–74). In the late 1980s many independent societies and clubs devoted to studies of their regions sprang up. During the interwar period in Western Ukraine, the Plai society in Lviv organized walking tours and published regional materials in its magazine Nasha bat’kivshchyna (Lviv) (1937–9). The Boikivshchyna society, with its important museum and journal, was a leading center of regional studies. 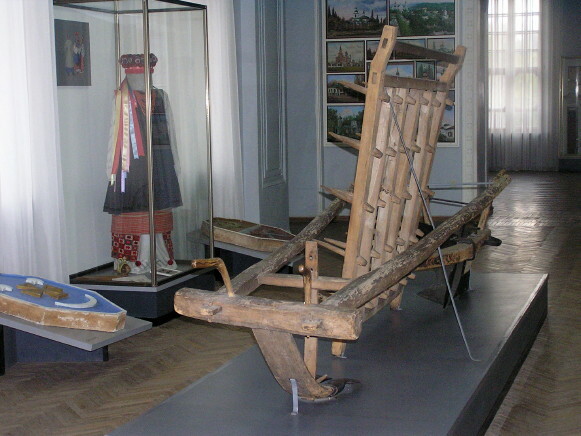 Regional studies museums were opened in Sianik (for the Lemko region), Yavoriv, Kolomyia, and Uzhhorod. The collection Karpats’ka Ukraïna (Carpathian Ukraine, 1939) and Yuliian Tarnovych’s works on the Lemko region were important contributions to the field. Outside Ukraine regional studies were conducted by the Research Institute of Volyn. A series of regional collections has been published by the Shevchenko Scientific Society in collaboration with ad hoc regional committees. It includes works on Bukovyna, Podilia and the Peremyshl region, Stanyslaviv region, Buchach region, Zbarazh region, Horodenka region, Terebovlia region, Drohobych region, Uhniv region, Zolochiv region, Sian region, Lemko region, Stryi region, and Buh River region.